shopspaViolet is Serious Skin Care, Serious Fun: What is the Secret Ingredient in Revision Intellishade that Reduces Aged Skin? 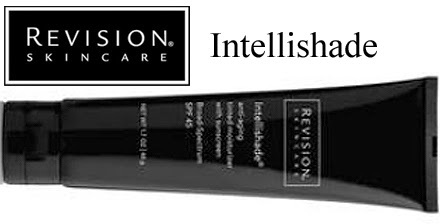 What is the Secret Ingredient in Revision Intellishade that Reduces Aged Skin? ACS-456 is a blend of ingredients including Coenzyme Q10, White Birch Extract, 1 & 3 Beta Glucan, Saccharomyces Cerevisiae, and Plankton Extract. The ingredients boosts collagen growth and strengthens the IPF to repair and protect your skin. Revision Intellishade reduces fine lines and wrinkles in two ways. First by instantly smoothing the skin tone with the tint that fits to every skin tone. The second is with the ACS-456 with powerful peptides that repair to skin and increase skin elasticity. IPF stands for Immune Protection Factor. Environmental effects to the skin start before you see damage from dryness, burning, and other distress. UV rays are the largest culprit of reducing the immunity in the skin. Suncare products that contain antioxidants, botanicals, minerals, anti-aging peptides, and omega fatty acids. ACS-456 makes Revision Intellishade protect the skin before skin damage, and improves your IPF. Coenzyme Q10 - CoQ10 is an antioxidant that fights free radical damage and preserves collagen and elastin. White Birch Extract - Improves tone and clarity of skin with high levels of Betulin and Betulinic Acid. Beta Glucan - From Oat Kernals, reduces fine lines, wound healing and scar reducing. Saccharomyces Cerevisiae - Or bakers yeast brightens skin, reduces fine lines, skin stress and smoothing. Plankton Extract - High in photolyase, a repair enzyme.